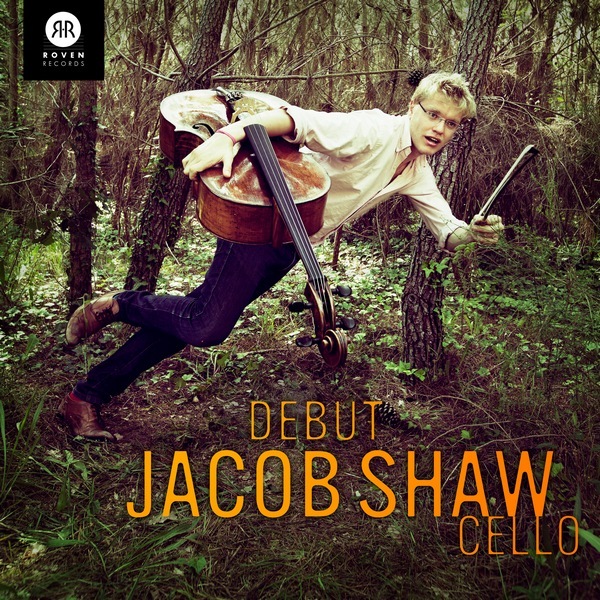 Jacob Shaw is a young British cellist based in Copenhagen, and, as the title makes clear, this is his debut recording. It’s really two albums in one: The first disc, which was recorded in 2009, is devoted to the Brahms Cello Sonatas, while the second, which is more recent, offers more adventurous fare, the Britten Third Suite and some folk tune arrangements from around the world. It all adds up to a fascinating portrait, and gives a rich and varied picture of the artist. Shaw’s tone is rich, but has a distinctive woody quality which he uses to valuable expressive effect. It allows him to sound intimate, even at louder dynamics and in fast music. It is not a lyrical sound, as such, but it never impedes the melodic flow. That is particularly evident in the Brahms, where the focus of his sound keeps the ear’s attention with the cello, even when set against complex accompanying textures. Shaw, and pianist José Gallardo, give expressive but disciplined readings of the two sonatas, finding an ideal balance between the Romantic language and the Baroque allusions. Audio quality, here and on the second disc, is excellent, although there is some peak distortion on the piano at some of the climaxes, a mastering issue perhaps but only a minor irritation. The second disc is the more interesting of two, both for its unusual programming and for the insights it offers into Shaw’s musical tastes. The Britten Third Suite invites comparisons with Rostropovich, for whom it was written, and indeed, Shaw’s tone and musical sensibilities often call Slava to mind. The austere beauty of Britten’s music is powerfully conveyed, without any histrionics or excess; this is playing of impressive maturity and assurance. The second disc is rounded out with folk songs arranged for cello. A Brit in Denmark is Shaw’s own arrangement of Scottish and Danish songs, and is followed by Persian, Jewish and Chinese songs as well as Casals’s popular El Chant dels Ocells. It is a tribute to the distinctive quality of Shaw’s playing that a consistency is maintained across this diverse collection. The Chinese work, Song of the Burial of Flowers, features traditional Chinese instruments (guqin, pipa, guzheng, yangqin, erhu), as performed by musicians from the Music Confucius Institute. The cello fits seamlessly into this ensemble, although it is a surprising soundworld in which to sign off the album. As with everything else here, the Chinese track has an autobiographical dimension. The notes tell us that Shaw has recently been appointed International Music Ambassador for Dulwich Music College International (Asia), and that the Music Confucius Institute, which supplied the Chinese instrumentalists and provided financial support for the recording is at the Royal Danish Academy of Music. This album therefore represents the sheer diversity of a thoroughly international career (it was recorded in two countries as well, Germany and Denmark). All round a very satisfying listening experience, but particularly recommended for the Britten, music that seems perfectly suited to Shaw’s tone and temperament.